Alan was born and raised in Evansville and graduated from North High School in 1984. He completed his theological education at The Southern Baptist Theological Seminary in Louisville, Kentucky. 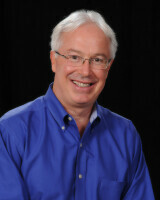 Alan is a graduate of the Billy Graham School of Missions, Evangelism, and Church Growth. He is passionate about seeing churches grow, both numerically and spiritually. He has served in churches in Savannah, Georgia, northwest Indiana, and right here in Evansville. Alan is giving leadership to Oakhill to be the most effective multi-generational church in the Evansville area. He is married to Paula and they have two adult children and one teenage son. They are also blessed with two granddaughters. Alan has many interests; he has a love for music and has served as a worship leader in former churches. He also loves basketball, preaching, and spending time with his family. Alan desires to see people's lives change as they come to Christ and become more like their Savior. Bryan was born in Russellville, Arkansas and has lived in many different places including Texas, Michigan, Kentucky, and Indiana. He is a graduate of Boyce College (B.S. in Biblical Studies) and The Southern Baptist Theological Seminary (M.A. in Christian Education). Bryan has been in full-time vocational ministry for more than twelve years. Bryan is very excited to be serving at Oakhill as a pastor of both children and missions. He has a passion to see physical and spiritual needs met locally, nationally, and internationally. He wants to encourage Oakhill to follow Acts 1:8 and bring the gospel to the ends of the earth. He also has a passion for the church and wants to see it function effectively as the spirit-filled bride of Christ. He seeks to help Oakhill become more effective by organizing and supporting the ministries of the church. Bryan has been married for 15 years to his wife, Kristi, and they have four wonderful children. He enjoys reading, listening to music, and spending time with his family. Jared is from Birmingham, Alabama where he grew up and lived most of his life until he moved to Jackson, Mississippi. While in Mississippi, Jared attended Mississippi College where he earned his undergraduate degree in Christian Studies and Psychology. 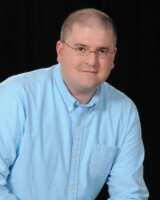 He is currently pursuing a Master of Arts in Theological Studies from New Orleans Baptist Theological Seminary. He and his wife, Annaclaire, who is from Fayetteville, Arkansas, met in college and got married in 2013. They have one daughter together. Jared has served in multiple worship roles in a variety of different settings, and as a worship pastor, he has a heart to see all generations throughout the Church engage with God through worship and the Word. He is passionate about the Word of God, which drives his passion to lead worship with Jesus at the center of it all. Nick is from Evansville but has also lived in Savannah, GA and Highland, IN. He is a graduate of Boyce College (B.A. in Christian Worldview and Apologetics) and is a graduate from the Southern Baptist Theological Seminary (M. Div. in Biblical Counseling). He and his wife, Melissa, were married in 2013 and have one daughter. They are both passionate about building up the body of Christ in the truth of Scripture. Nick has served as a minister to students, the lead assistant to the Dean of Boyce College, and an intern for the Association of Certified Biblical Counselors. As the pastor of spiritual development, it is his desire to see people begin to follow Christ and grow in their relationship with him by prioritizing the Word of God as revealed in Scripture. He is excited to equip believers with the truth so they are able to apply the benefits of Scripture personally and relationally through biblical counsel and evangelistic apologetics. Overseeing the facilities that God has blessed Oakhill with provides him with much satisfaction as it helps to serve ministries in the community. Brian grew up in Gloucester and Fredericksburg Virginia. He moved to Louisville, KY to attend Boyce College where he earned his B.A. in Expository Preaching and Pastoral Leadership. He has served as Pastoral Assistant at Sunnyside Baptist Church and as Associate Student Pastor at Little Flock Baptist Church. He is currently working on his M.A. from The Southern Baptist Theological Seminary. He met his wife, Kayla, a native to Louisville, while attending Bible studies with the college group at Highview Baptist Church. They were married in May of 2015 and have one son. Brian and Kayla long to see students come to Christ and grow in their faith by opening their home to them, teaching the gospel to them, and bringing parents and students together in the home. He is driven by the gospel of Jesus Christ and guided by the Word of God. Lisa originally grew up in Wisconsin but moved to Indiana in middle school. She received a Bachelor of Arts degree in English Literature with a minor in Religion from the University of Evansville. She has worked at Oakhill Baptist Childcare since 2004 and has been in the Director's role since September 2015. Lisa earned her Infant/Toddler Child Development Associate Credential from Ivy Tech in 2007. She will receive her Director's Credential from USI in May 2017. Lisa and her husband Joe have four children: Andy, Avery, Abbie, and Asher. She enjoys reading and spending time with her family. As the director of the childcare, Lisa is excited to help the children grow and develop to their fullest potential. Leonid Marsan was born on August 18, 1974 in Santiago de Cuba. He accepted Jesus Christ as his Lord and Savior at the age of 19, in the First Baptist Church of his native city. 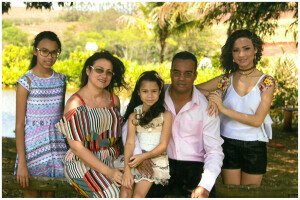 He married Kenia in 1998 and they have three daughters: Ammi, Atalia and Salem. He began his theological preparation at the Baptist Seminary of Cuba; in 2006 he completed a degree in biblical and theological studies at the University of FLET, Florida, USA and is currently pursuing a master's degree from Master Seminary. He has served for 20 years as a full-time missionary and pastor, serving the Lord in Cuba, the Dominican Republic, Brazil and currently in Evansville, Indiana, USA at Oakhill Baptist Church. At this moment his ministerial focus is on the Hispanic community and his passion is to contribute to the extension of the Kingdom in this city collaborating with the fulfillment of the Word in Revelation 5: 9-10. Mike was born in Granite City, IL. He moved to Evansville when he was 10. Mike married Sondra in 1984. They have two adult children, both married, and two grandchildren. Mike is a local business owner. He is a Certified Biblical Counselor with the Association of Certified Biblical Counselors (ACBC). Mike has been a faithful member at Oakhill for over 15 years. He served as a deacon for 14 years. Mike now serves as an Elder, Life Group leader, and lead biblical counselor. He has a passion for discipling people through biblical counseling. Mike is interested in the stock market, reading, and ice cream. Nick was born and raised in the Evansville area. He is a graduate of the University of Southern Indiana (B.S. Business Administration/Economics Minor) and is taking courses through Southern Baptist Seminary Extension. Nick is a Finance Manager for a local energy company and has served in various finance roles in Indiana and Michigan. He has a passion for seeing the lost come to a life changing saving faith in the Lord Jesus Christ through personal evangelism and the preaching of God’s Word. He seeks to help Oakhill become more effective by overseeing the finance and personnel teams. Nick has been married to his wife, Sherri, since 2004 and they have a very energetic daughter. Nick’s interests include coffee, reading, and more coffee.